Silverthorn Homes for Sale Located in Spring Hill, Hernando County, Florida. Find Silverthorn homes for sale with data from the MLS. 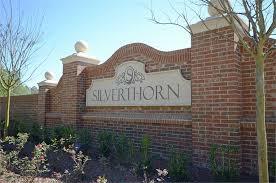 I can assist you in your search for Silverthorn, Spring Hill homes. Championship golf course designed by Joe Lee. Clubhouse with restaurant and banquet facilities. Community Center. Community Pool. Fitness Center. Basketball and Tennis courts. On-Site Storage.